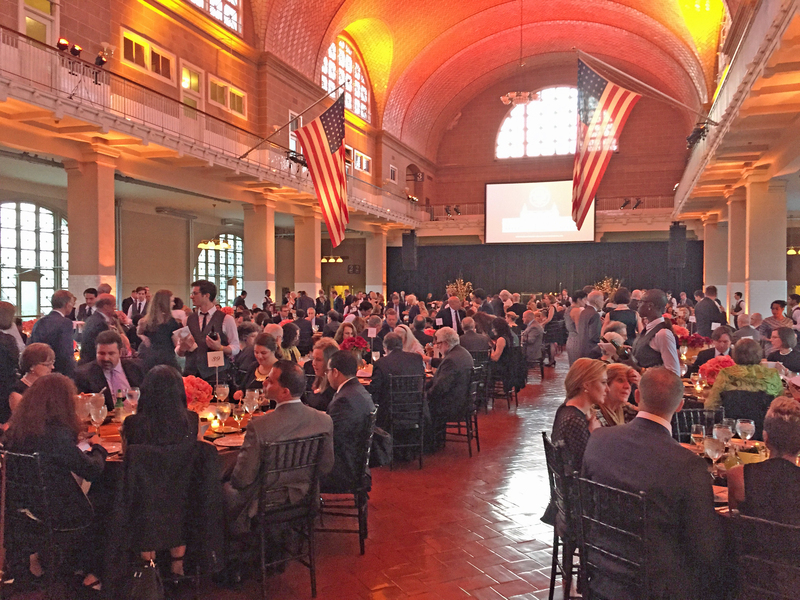 There was plenty to celebrate at the Gala in the Great Hall held at the freshly renamed Ellis Island National Museum of Immigration by The Statue of Liberty-Ellis Island Foundation (SOLEIF) on Tuesday evening. 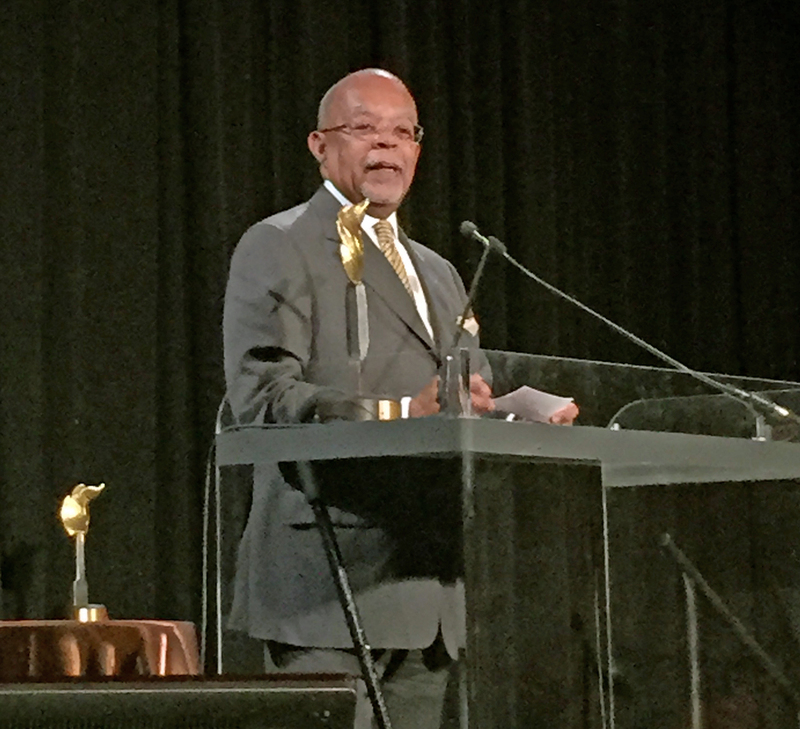 The event marked the completion of the Peopling of America Center, the formal post-Sandy re-opening, the bestowal of Family Heritage Awards to Diane von Furstenberg, Patti LuPone and Henry Louis Gates, Jr., and the naturalization of eight new American citizens. 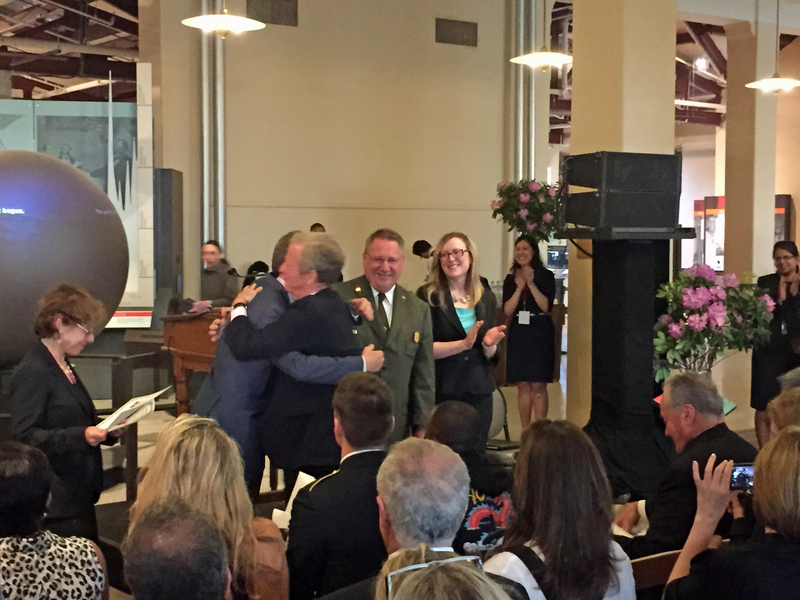 Following are a few highlights. 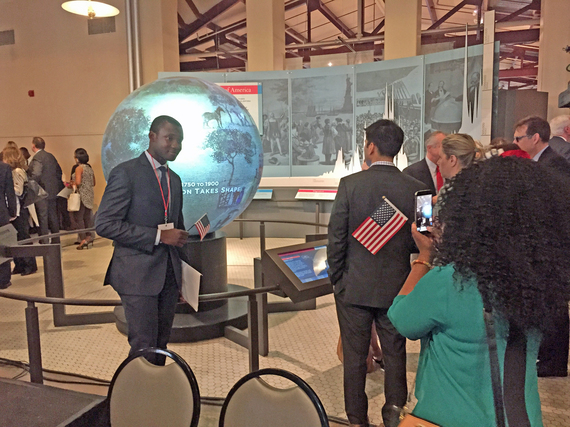 Proud sister, Selina Okyere, takes a photo of her brother, Isaac Osei-Acheampong, a freshly minted citizen originally from Ghana. 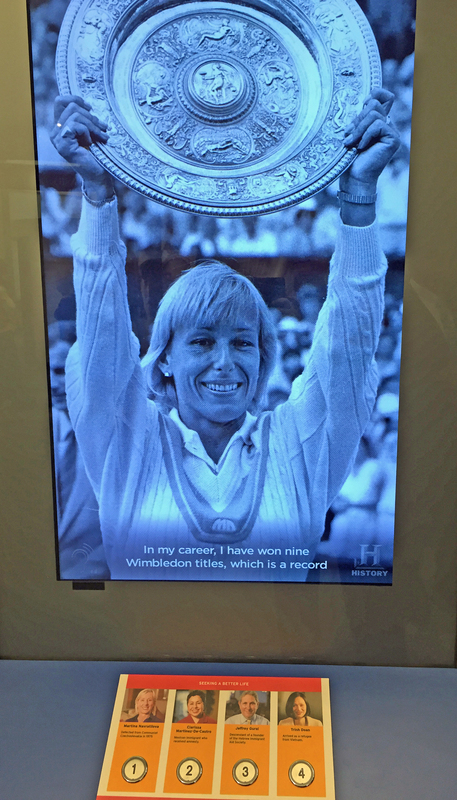 The newly-opened post-Ellis Island wing of the Peopling of America Center features 118 videos (produced by The History Channel) of immigrants, including tennis champion Martina Navratilova. 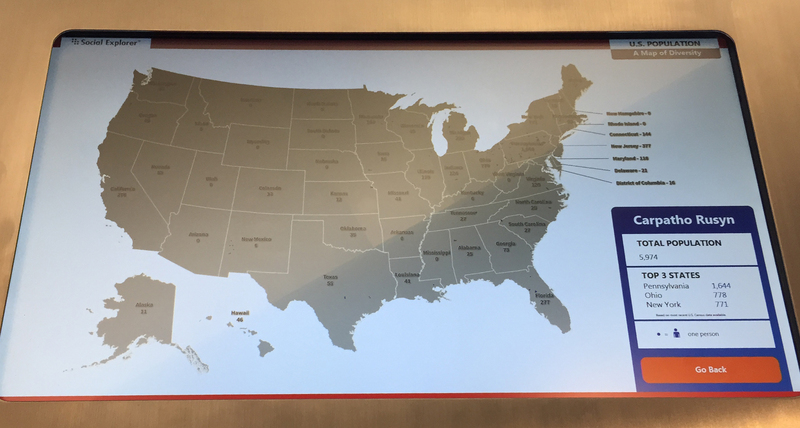 An interactive diversity map at the Center allows visitors to see where others of their heritage live in the United States today. The example here shows where the almost 6,000 self-identified Carpatho-Rusyns resided at the time of the last census. 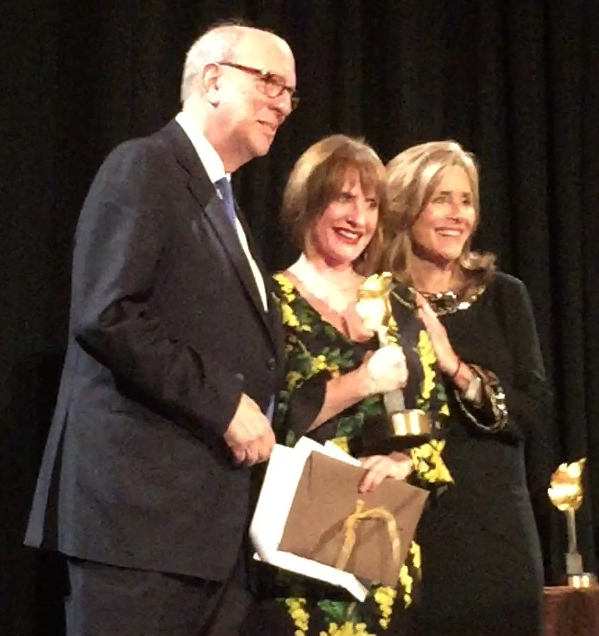 Broadway star and multiple Tony-winner, Patti LuPone, is flanked by SOLEIF President, Stephen Briganti, and host, Meredith Vieira. Harvard scholar and author Henry Louis Gates, Jr. spoke at length about his family history. Upon receiving her award, fashion icon Diane von Furstenberg struck a Statue of Liberty-inspired pose with SOLEIF President, Stephen Briganti, gazing on. 400 guests had the opportunity to dine in the Great Hall that welcomed millions of our ancestors.